FORT WASHINGTON, MARYLAND - Exiled Chinese dissident Wei Jingsheng has lived a good life in the United States for more than 20 years. But the man often called the father of his country’s modern democracy movement still welcomes visitors the Chinese way — by offering them a cigarette. In a lengthy interview at his home in a Maryland suburb south of the U.S. capital, he lights one for himself — and starts unleashing harsh criticism of the “one-party dictatorship” in power in Beijing. It’s a familiar battle cry: For four decades, Wei has railed against state oppression of the Chinese people’s democratic aspirations. That battle cost him 18 years of his life, spent in a series of prison cells. In 1997, after international pressure — including a plea from U.S. president Bill Clinton — he was released, ostensibly on medical grounds, and put on a plane to America. Now 68, Wei is hooked on Gauloises — strong French cigarettes that are hard to find in the U.S. — but is otherwise in good shape. 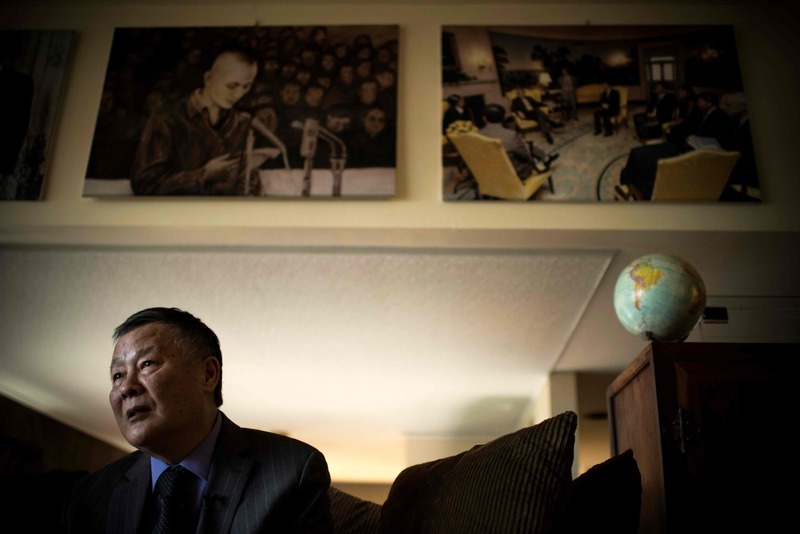 He runs his namesake foundation from his home, battling for human rights in China. On Wednesday, he will mark a landmark anniversary — on Dec. 5, 1978, he posted “The Fifth Modernization” on a wall in Beijing. The essay said that Deng Xiaoping’s “Four Modernizations” did not go far enough, and called for democracy to be a goal for China alongside the four Deng cited: The development of industry, agriculture, science and technology and national defense. Deng is considered the architect of China’s opening up to the world. But Wei, whose essay landed him in prison, says that Deng gets too much credit. “I should correct a popular saying, both inside China and internationally, which claims that Deng Xiaoping is responsible for the opening-up and the reform,” he said, speaking in Mandarin. “This reform only went halfway, economically but not politically,” he lamented. “Now, in the Xi Jinping era, politically it is even going further backward,” he added, referring to the ongoing offensive against rights activists. In the post-Mao era that began in the late 1970s, China’s opening-up was prompted by a broad popular movement, supported not just by Deng but by other senior Communist Party leaders. “When they suppress the people, it’s more severe than anywhere else,” he charged. 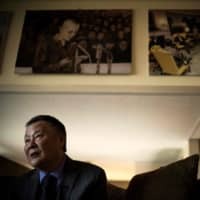 Sipping black tea from China’s southeastern Fujian province, Wei did not hold back in his biting criticism of those who have followed Deng to the heights of power in Beijing. An electrician by trade — he once worked at the Beijing Zoo — Wei accused former Chinese leader Jiang Zemin of exploiting cheap labor at home and high prices in the West to reap huge profits that he shared with Western creditors. “During the Mao Zedong years, China was a poor socialist country. Now China is a poor capitalist country. Overall, the average Chinese did not get the benefit,” he said. As for Xi, who has a clear path to staying in power longer than the habitual 10 years, now that the ruling party plans to abolish term limits, Wei did not mince words. Wei, who repeatedly said that the Chinese government “never follows the rules,” has gained traction in Washington’s political circles. On the walls of his home, perched above a tributary of the Potomac River, are huge photographs of him with former U.S. presidents Bill Clinton and George H.W. Bush. But Wei, the winner of multiple human rights awards including the Sakharov prize, said he doesn’t venture into the U.S. capital too often anymore. “The American government and European governments are concerned over my safety,” he said, without further explanation.